Craig Tara Holiday Park (Ayr) - It's all go and all action at Craig Tara - you'll just love the multi-thrilling, multi-level indoor pool complex on a Park equally big on activities and entertainment. But all of this action doesn't detract from the Park's gorgeous setting just south of Ayr. The views and sunsets over the Isle of Arran are stunning! Craigendmuir Caravan and Camping Park (Stepps) - Craigendmuir Park is conveniently situated on the doorstep of Glasgow, just off the A80, one of Scotland's main arterial routes to the North. 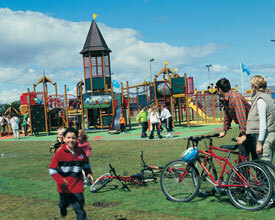 The Park is also easily accessed by those without motor transport, by rail and by bus from Glasgow.